Thanksgiving is in less than a week, and if you’re anything like me you just realized that a couple days ago and are now panicking a little bit. Dietary restrictions during the holiday primarily focused on eating can be a bit of a challenge, so I hope some of my recipes can help make sure you’re not just chomping on carrot sticks in the corner. And I’m VERY happy to report that this recipe for brown gravy that you can actually eat (hooray!) turned out great and should really help you ditch the veggie tray. I fully expected this to be a miserable failure, having never tried to make brown gravy, much less a meatless & wheatless one. As we started eating, both my boyfriend and I ended up back at the stove ladling a second (and maybe third) scoop of gravy on our potatoes because it was that good. It’s carnivore-approved, guys. This is the real deal. Heat oil and flour in a saucepan over medium heat, stirring until it forms a paste (called a roux). Add in all remaining ingredients and heat, stirring regularly, for 15-25 minutes. 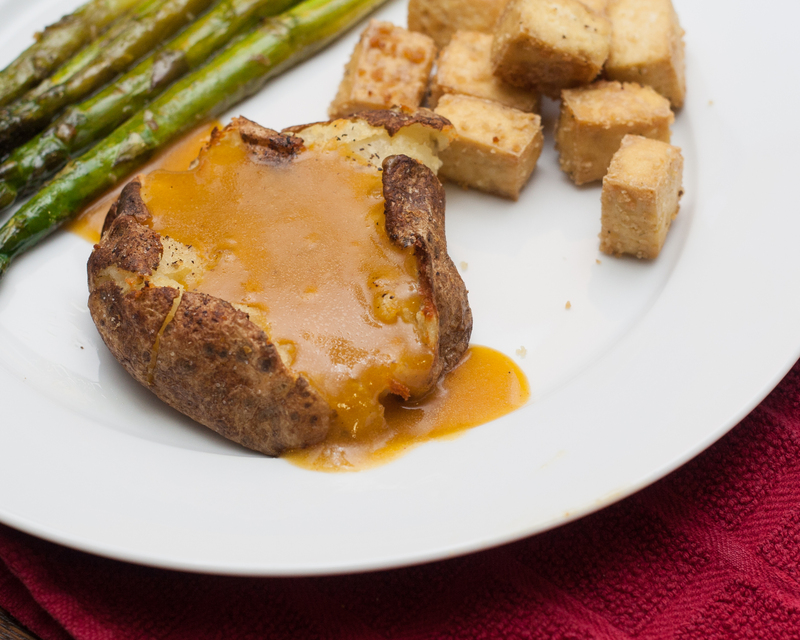 This time range is large so that you can heat the gravy to a consistency that you like! If you want it thicker, heat for longer (do not add more flour to do this). If you made it too thick, add some additional broth. I don’t like it to be too runny, so I heated it for the full 25 minutes, then turned it down to low to keep warm while the rest of dinner was finishing up. Just look at that bubbly deliciousness. This will be amazing on your potatoes, green beans, rolls, or really whatever ends up on your Thanksgiving plate. 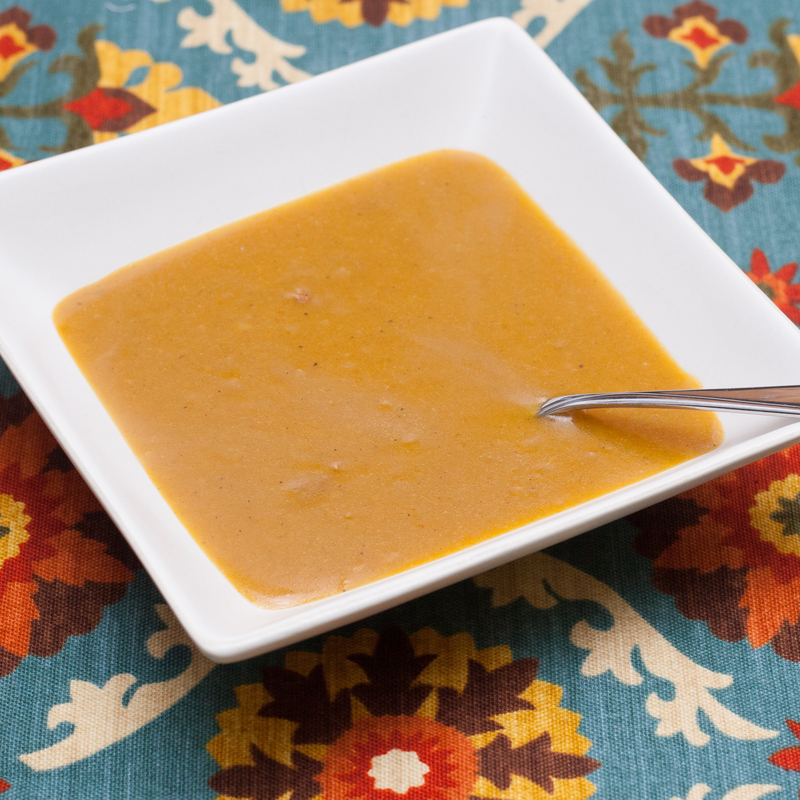 If you are the host this year, don’t be afraid to make this gravy instead of the meaty & wheaty kind! Your guests may not even realize that it’s a “hippie” version. 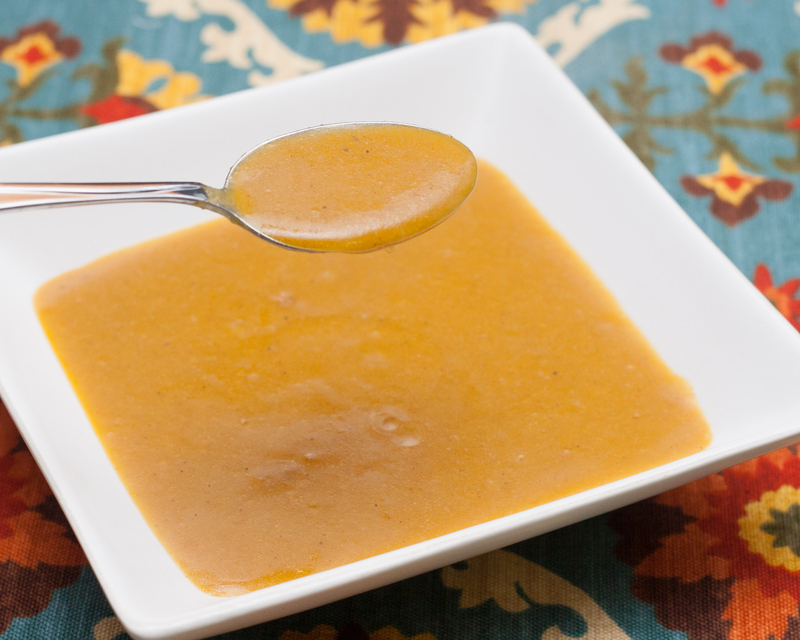 This recipe makes about 4 cups of gravy. Try it with my Parmesan Garlic Mashed Potatoes! 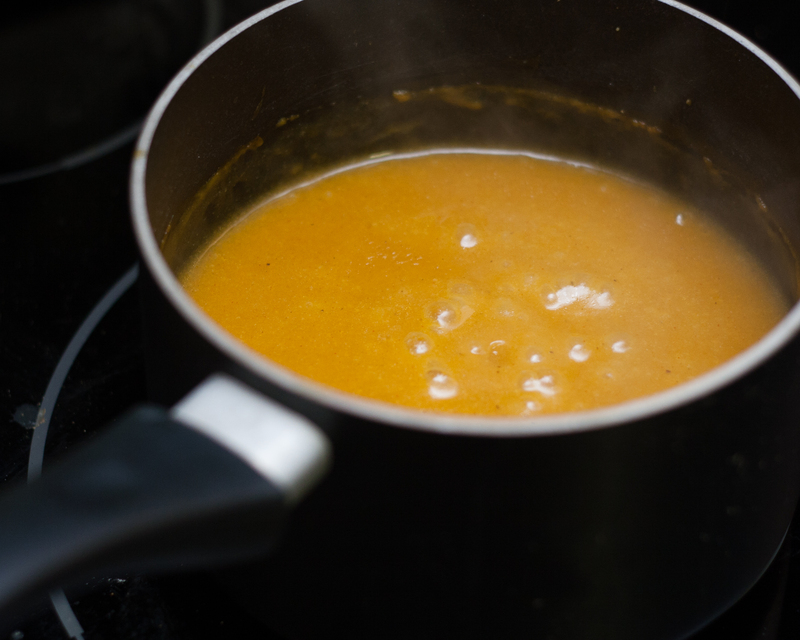 Gravy is one of my favorite parts of Thanksgiving… thanks for the cooking tips! No problem, hope you like it if you give it a try! !